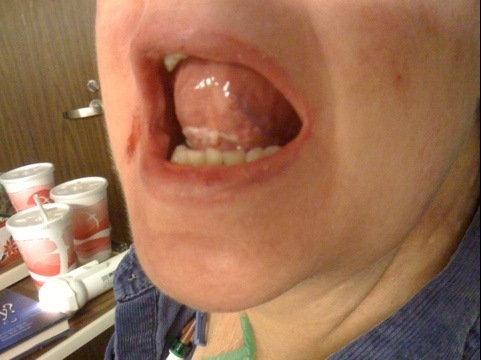 More of the mouth sores / cell lining. She’s showing me so I’m showing you. Thanks for the continuing updates. Beth sure is a trooper! Please tell her that there are many of us out hear holding her up in prayer – and you, too! Blessings to the whole Bugay clan! Thanks Constantine. Yeah, this is a tough one.